Jani Patokallio was first bitten by the travel bug at the age of 8 months and hasn't managed to shake it yet. Halfway through racking up 650,000 flight miles as a telecommuting consultant, he jumped ship to become co-founder and managing editor of pioneering print-on-demand travel publisher Wikitravel Press, with OpenFlights as a side project. Previously Publishing Platform Architect at Lonely Planet, Jani now works in Google's Cloud team in Sydney. This blog contains my personal views and not those of my current or past employers. Any posts about Google predate my employment there. 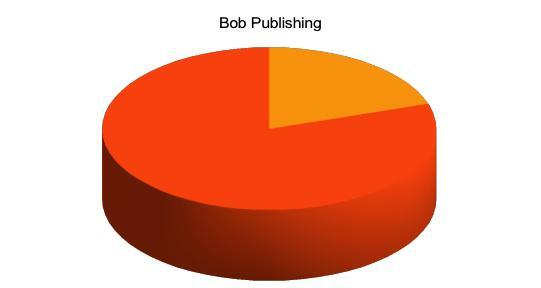 Both Alice and Bob are big names in travel publishing. 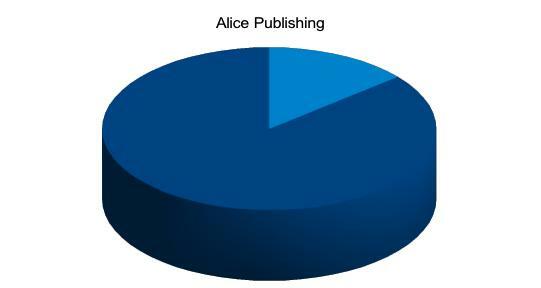 According to Bookscan, Alice is a contender for the top spot in much of the world when it comes to volume of printed books sold, shifting around 1.7 million books last year. Bob is a few spots down the pecking order, sellling around 800,000 copies, which is still more than respectable but means they’re only about half of Alice’s size. Now shipping around pallets of dead trees is all well and good, but how are they faring at bits and bytes? 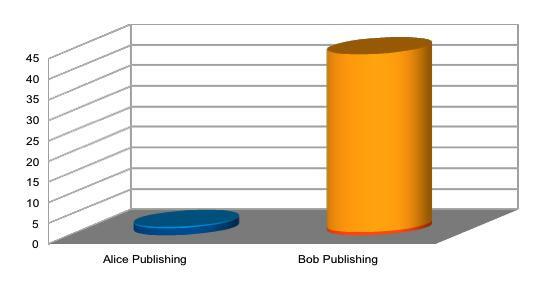 Neither Alice nor Bob are telling directly, but the publishing conglomerates that own them do, and Alice’s owner is only too happy to tell us they’re the industry leader for the hottest figure in today’s publishing industry, print vs digital revenue, pulling in 33% last year and promising to be the first to break the magical 50% barrier as early as this year. 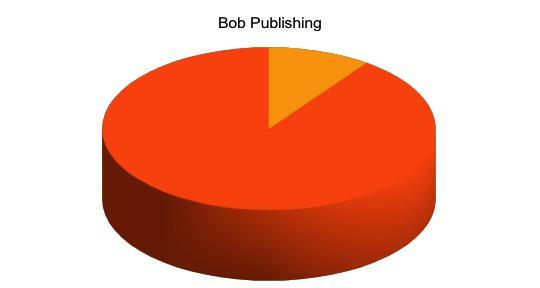 On the other hand, Bob’s corporate masters only managed to reach 20%. Strike two for Bob. 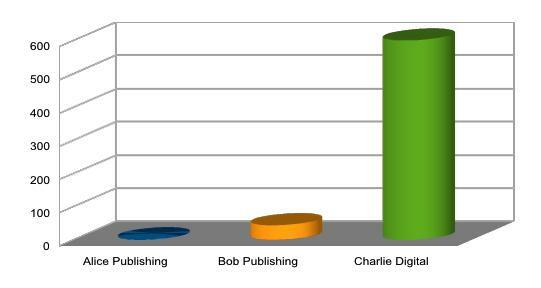 There’s a reason, or actually two, why publishers like the “print vs digital revenue” figure so much. First, the worse your print sales collapse, the higher the share of digital revenue goes. Indeed, Alice’s print sales dropped 14% last year, while poor Bob was whacked by almost 20%, boosting their digital shares by a handy ~4%, a third of the putative growth. And second, “digital” is a sufficiently fuzzy term that it’s pretty easy to redefine it to your advantage. In Alice’s case, its owner’s “digital” revenue includes a giant educational services arm, and would thus better be described as “not print”. Another publisher not considered today goes further and includes all the printed books they sell from their website in their “digital” sales. 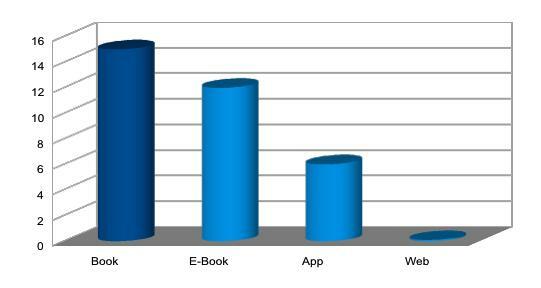 A more reliable indicator of how well a publisher is actually transferring their readers over from print to paid digital is the split of e-books to printed books. Alas, precisely because this number is nowhere near as flattering, publishers are very reluctant to disclose even volume shares, much less revenue shares or, heaven forbid, actual sales figures, and BookScan doesn’t have any data either. Alice’s owners offer precisely one figure: of all books sold last year, 14% were e-books, and while I’d wager the split for travel guides was more in print’s favor, that’s the best I’ve got. Bob and company are even more tight-lipped, offering up only the meaningless puff of “triple-digit growth in e-book sales”, so I’m going to assume that they managed to pull in the industry average of maybe 8% or so. Around 5 years ago, Alice launched a flashy website with lots of ads and minimal content. It won a bunch of obscure design awards and has been gathering dust ever since: Alexa estimates they get around 1500 visitors a day, which works out to 360,000 a year. 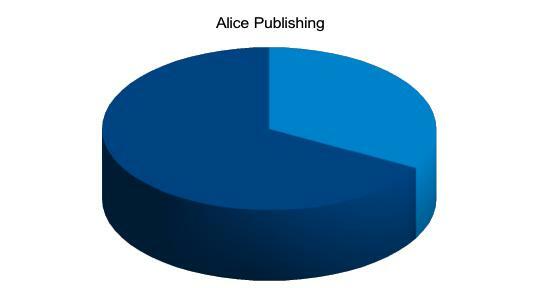 With e-books and apps still on the level of a rounding error, Alice’s total number of readers for print and digital combined is thus around 2 million a year. Bob, on the other hand, has been working on their website since 1996 with a simple two-point philosophy: post everything on your website for free, and don’t worry about cannibalizing your printed books. This is why they now pull in around 3.6 million unique visitors a month, which translates to over 43 million a year, or a total readership of nearly 44 million a year. That’s 22x more than Alice! So when Alice’s brand loses its dominance on bookstore shelves, because there are no more mass-market bookstores and thus no more shelves, which of the two can still connect with readers? “So what?”, I hear the hard-nosed publisher snort. “Website freeloaders add nothing to the bottom line!” Indeed, when it comes to direct revenue per reader, everybody who buys a book from Alice chips in around $15, buyers of Alice’s e-books pay around $12, and people who download Alice’s apps pay around $6 a pop. People who visit Alice’s website, on the other hand, pay approximately nothing. Isn’t it thus completely contrary to your own interest, downright crazy, to offer free content that drives people away the paid products? If we were dealing only with printed books, the answer would of course be “yes”. If Bob started giving away their books for free, they would quickly conquer the market and demolish Alice’s sales. But they cannot do this sustainably, because it costs real money to print and distribute books, and that’s why the price of a printed travel guide from any publisher has converged to around $15. But in the digital world, once you have created a piece of content, there is virtually no cost to distributing an additional copy of it. The equilibrium price is thus zero, and if you don’t distribute your content at that price, somebody else will, and they’ll eat you alive. That’s why Bob is already busily kneecapping Alice’s (already fairly pathetic) app sales by offering their own city apps for free; and that’s why the biggest threat to Alice is not Bob, but Charlie Digital, whose travel website gets more readers every day than Alice gets in a year. And the kicker? Charlie, better known as TripAdvisor, made a profit of $177 million last year and is tracking to improve on that this year — and it pulled off this trick without charging for any of its content. Keep reading for part 2, in which we’ll take a look at why getting readers to pay for their content directly will prove unworkable for the vast majority of publishers, and how the creation of quality content can be funded nonetheless. Great post Jani 🙂 I love a good rant about how some publishers could rethink the way they’ve always done content creation and distribution, and numbers and graphs are just gravy… eagerly awaiting part 2! So TripAdvisor doesn’t charge for its content, but it also doesn’t pay for it (in the traditional sense of commissioning and paying an author). Is there a place for professional travel authors in the future of travel publishing, or will they be as common as professional encyclopedia authors post-wikipedia? It would be a shame if there wasn’t – I think from a travellers perspective the TripAdvisor crowd-sourcing model works well in large places (ie. places rated as good are actually good), but the Lonely Planet curated model is far superior in smaller or less popular places. Without a large sample size TripAdvisor seems easily gamed (bad places, sometimes very bad places, somehow get rated as good), but you can nearly always trust that the Lonely Planet writer who went to the place most recently is not going to be too far off the mark. There is a significant mistake in the maths for the online audience. An annual figure of unique visitors can’t be calculated that way (adding together all the months).From experience this number will be more like 15-20m. It is not 3.6m x 12 =43m. No, it’s intentional. Book sales are about units shifted, not the number of unique people buying books, so the same person visiting the website to research different places should be counted multiple times. Problem is, without access to server logs it’s effectively impossible to tease apart individual “book-like” visits that research a single destination, so I drew an arbitrary line at one month: if the same person visits the same website 12 months in a row, they’ll get counted with equal weight to a person buying 12 books. That said, I’ll readily admit that all the figures here are a bit fast and loose and there’s a fair bit of comparing apples to oranges going on here. 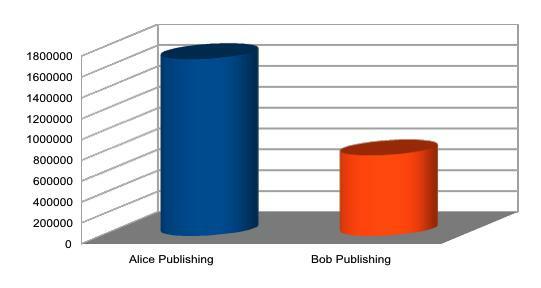 Nevertheless, even with your proposed figure, I believe my point stands, as Bob still crushes Alice with 11x more readers.